Life is Why! Join me in supporting the American Heart Association! I’m not just walking. I’m Heartwalking. My participation in Heart Walk promotes fun ways to be physically active and make healthier choices every day. Imagine the impact if we reduce death and disability from cardiovascular diseases and stroke by 20 percent by 2020. Please help me reach this lifesaving goal by donating today. Together, we can make healthier, longer lives possible for everyone. I started cardio exercises at the gym. I was using the elliptical for 30-45 min. Not much else at the gym. After about a month, I was only able to stay on the elliptical for 5 minutes and got a “tightness” in my throat. I decided to switch to the treadmill because it didn’t give me that feeling. On July 8, had a rollover accident with my car. The car was totaled. I walked away completely uninjured. As suggested by the EMT’s at the accident scene, I went to the hospital anyways. They cleared me to go but suggested a follow-up with my primary doctor. I did exactly as instructed and he gave me the clear to go. On my way out of the doctor’s office, I decided to mention the tightness when exercising. He scheduled me for a stress test on Friday, July 15 at 4:30pm. I failed it miserably and was sent to the hospital via ambulance. I spent the weekend in the hospital and found myself Monday morning, July 18 in the operation room having a single bypass surgery. I had a 95% blockage. The rest of my heart was clean. During heart walk season last year, I began having chest pains once again when exercising. It was time to get back to the heart doctor to get things checked. It was discovered that I had another blockage in the same artery as in the past. This was found through a cardiac catheterization. The blockage was only 50% so until it reaches 70%, they treat with medication. I am now taking a medication called Ranexa. It allows me to live a normal life without the angina (chest pains). 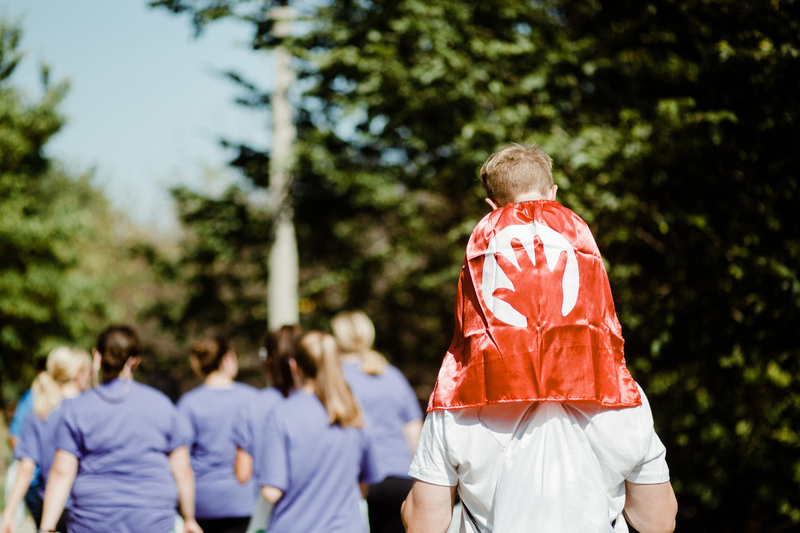 The next check-in with the cardiologist is right before the heart walk in 2019.